For the murder charges, one count included murder with deliberation, the other murder with extreme indifference. Both carry a maximum death penalty upon conviction. 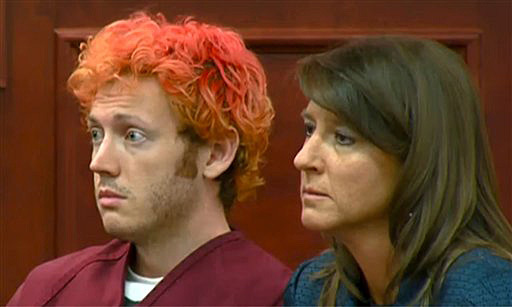 CENTENNIAL, Colo. – Colorado prosecutors charged the suspect in the Aurora movie theater shooting with multiple counts for each victim to create more options during sentencing, if he’s convicted. James Holmes was charged with 24 counts of murder, two each for the 12 people killed, and 116 counts of attempted murder, two each for the 58 injured. A former chief deputy district attorney says a conviction under extreme indifference means that any life sentences would have to be served consecutively, not concurrently. In addition, Holmes was charged with one count of possession of explosives and one count of a crime of violence, which is a gun charge.